Introducing DashFlash by DashPac! Full Write Up Inside! Thread: Introducing DashFlash by DashPac! Full Write Up Inside! 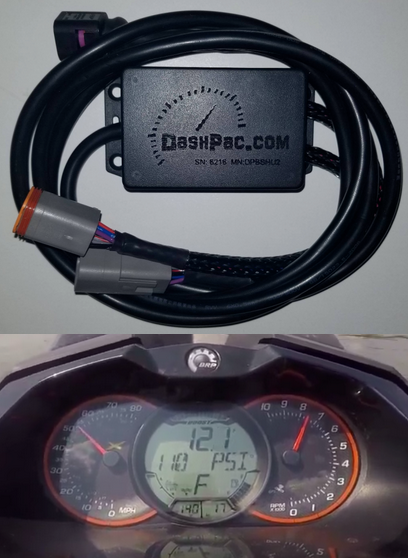 DashPac has done it again with this innovative product! It was created and designed by forum members Evan Kassing and Andy Lamb. This product has been in development for over a year now and is now ready for resale. Flash back to April of 2016 DashPac launched a new never seen before product called DashPac! 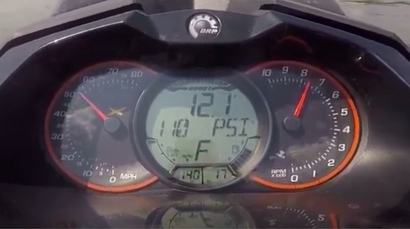 It was the first time Sea-Doo owners could see on the Stock OEM cluster the engines Air Fuel Ratio (AFR) and a digital read out of Boost in PSI. Soon after more versions where developed for other years and ECU combinations. Since then we have spent every dollar of profit in trying to learn everything about this platform, and trying to make new products. We have come a long way, made some mistakes along the way. We have made it our mission to try and provide good customer service and relationships along the way. Now onto why your reading this, New Products! Like prior Products we look to be new and innovative. Keeping true to our company name we decided to make a full dash reflash. Display actual accurate GPS speed on the LCD and analog needle. Add a decimal to the Speed and Top Speed functions. Note 1; This only works if your ski currently has this option otherwise it will be blank or read zeros. Note 2; This option was only added to 2015 and older. The 2016 and up already have this option. Note 3; Requires new version of DashPac DashFlash Module to see this option in the Dash. Note 4; Voltage Reading only work with Bosch ECU and Only reads while the ski is running and for approximately 20 seconds after the engine is turned off. When its not reading correct voltage the display voltage in zero to let you know its not currently reading voltage. Depending on other aftermarket devices on the can bus voltage may turn off so as not to interfere with other devices. Pack the dash and sheet carefully and ship it to the address on the sheet. We Reflash the dash and ship it back to you. Now unfortunately if you have the original DashPac module it is not completely transferable to this new product. However, it can still be used. Allow me to explain. The DashPac module will still work as it currently dose, under the Depth display. The new AFR display will read zero, but the depth channel will read your AFR and Boost like before. If, however you want the AFR to display under AFR you will have to purchase the new DashFlash module. If your going to use the new DashFlash Module the DashPac Depth module is NOT required with this product for your depth sensor. If you have another version of X-Style Dash other than listed please contact us for possible development. Order now in the GreenHulk PWC Performance Store! So you have to have your dash flashed to make use of the compass line as custom data display? Great work from you 2 crazy blokes . This is what we expect from you .. love it . Sounds sweet. Unfortunately mine is a non-X dash('17 gtr 230). Any future plans for these?? Hated all the space the compass takes up. Only function I had no use for. Awesome work. I'll be buying this kit sometime this year. How difficult will the cluster removal be? Its possible. Each version takes a bit to put together and test. Biggest issue is your style dash has no decimal on the upper line available in the lcd. Let me know if you want to pilot the testing on your style dash. I'm game. Already have the Dashpac. Want me to go ahead and send you my cluster? What the full 4 mins, and yes its a tigershark, but I teared inside! !